1) Preheat oven to 425°F. 2) Trim the Brussels sprouts and cut them in half. Toss with the olive oil in a 13x9 inch baking pan, then spread in a single layer on the pan. Sprinkle liberally with kosher salt and freshly ground black pepper. 3) Roast for 20-30 minutes. 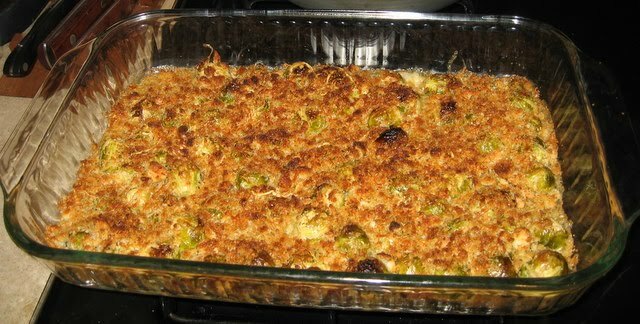 While the sprouts are roasting, grate the Gruyere cheese and mix together with the bread crumbs. If your bread crumbs are unseasoned, you may want to season with salt and pepper...I happened to have a bunch of stale croutons in my cupboard, so I stuck those in a plastic bag, sealed without extra air, and pounded with a hammer to make bread crumbs. Crouton crumbs mixed with regular breadcrumbs proved to be delicious. Note: if you're feeling health-conscious, you probably don't need to use the entire cup of heavy cream. 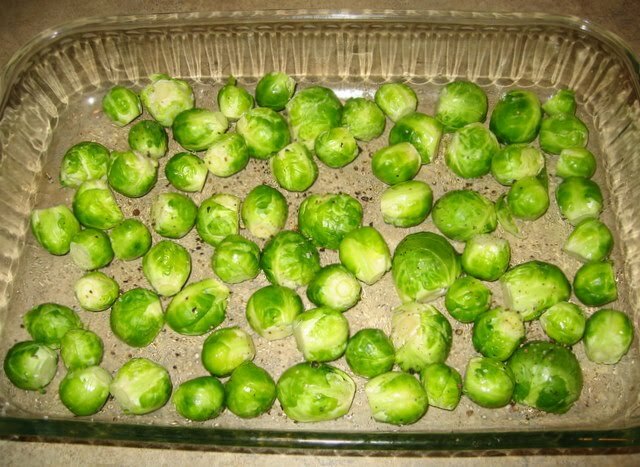 I was making some soup at the same time as these sprouts, and used about 1/4 of the cup in the soup, and 3/4 in the roasting pan. 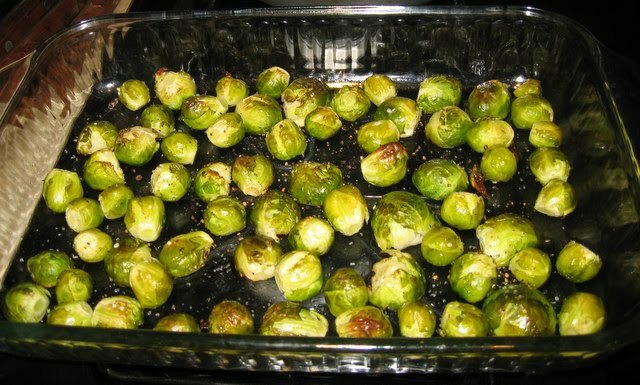 The spouts did not seem to suffer. 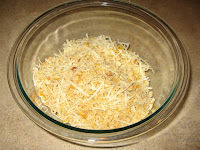 5) Melt your butter, and mix in with the cheese and breadcrumbs. 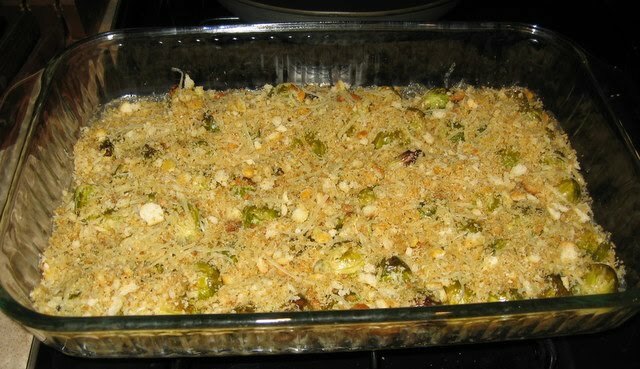 When the sprouts and cream come out of the oven, sprinkle with the mixture. While the originial recipe called for two tablespoons of butter, I'm not really sure that both are necessary here...a little butter is probably necessary to keep the crumbs from burning, but next time I'll try cutting it down to one tablespoon. 6) Broil for 3-4 minutes on high, until the top is golden-brown. 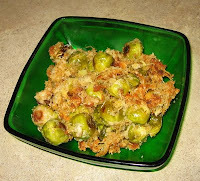 Both The Pit and I loved this dish, although be warned, it doesn't taste great microwaved the next day.